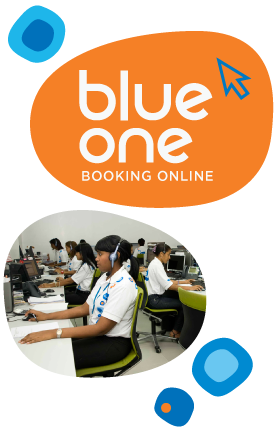 Our online booking system Blue One is an easy, agile and friendly tool which allows our clients to book online all the services that we offer. Through Blue One, we offer contracting, allotments and excellent prices with all the hotels in the Dominican Republic. Transfer bookings are easy and allow the tour operator to save time and avoid mistakes, as well as sell in advance the excursions in all destinations. In many cases, our clients prefer to make arrangements with the hotels directly. We offer contracting, advice and quality control in all the contracted products.